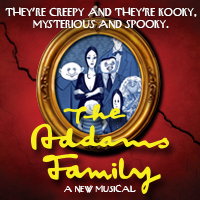 SUPPORT THE ADDAMS: Making a donation as you purchase The Addams Family tickets help offset the show's production costs. Choose a $5 add-on with each ticket purchase for an on-set photo opp with the The Addams Family characters after the show. Different characters each performance. PACKAGES OPTIONS: We offer several combinations so you can pick the Playhouse season that works best for you. Starting from as little as $51 (3 performances, Thursday evenings) to $108 (full season, Saturday evening) with cabaret and concert add-ons, you can plan your theatre-going adventures to fit your schedule and your budget in the knowledge that you're always going to see a fabulous show at Coronado Playhouse.